In a brisk revisionist history, William Rowe challenges the standard narrative of Qing China as a decadent, inward-looking state that failed to keep pace with the modern West. The Great Qing was the second major Chinese empire ruled by foreigners. Three strong Manchu emperors worked diligently to secure an alliance with the conquered Ming gentry, though many of their social edicts-especially the requirement that ethnic Han men wear queues-were fiercely resisted. As advocates of a "universal" empire, Qing rulers also achieved an enormous expansion of the Chinese realm over the course of three centuries, including the conquest and incorporation of Turkic and Tibetan peoples in the west, vast migration into the southwest, and the colonization of Taiwan. Despite this geographic range and the accompanying social and economic complexity, the Qing ideal of "small government" worked well when outside threats were minimal. But the nineteenth-century Opium Wars forced China to become a player in a predatory international contest involving Western powers, while the devastating uprisings of the Taiping and Boxer rebellions signaled an urgent need for internal reform. Comprehensive state-mandated changes during the early twentieth century were not enough to hold back the nationalist tide of 1911, but they provided a new foundation for the Republican and Communist states that would follow. 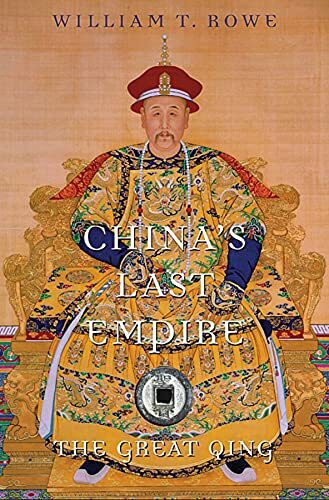 This original, thought-provoking history of China's last empire is a must-read for understanding the challenges facing China today.